1 ball of Macroom Buffalo Mozzarella, cut into 8 slices. Lightly oil frying pan and put on a medium heat. Whisk egg in a bowl and add mustard, Worcestershire Sauce, onion, garlic, salt and pepper. Crumble in the beef and mix together using your hands or a fork. Gently shape the mixture into 4 burgers about ¾ inch thick. Place burgers on the frying pan and cook until no longer pink inside, turning once ( about 6 – 8 minutes per side). 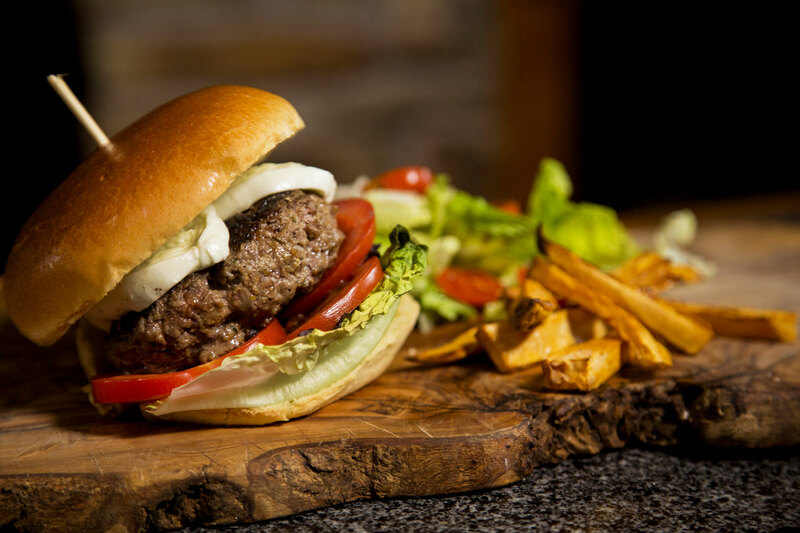 Put in a Brioche burger bun and dress with Macroom Buffalo Mozzarella, onions, tomatoes and lettuce. Serve with chips or Sweet Potato fries and a simple side salad.